What is Kiln Dried Firewood? 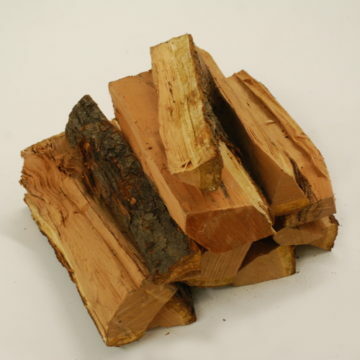 Fragrant and Clean - Cherry firewood is considered to be in the 'elite' family of firewood! Here at Best Burn Firewood, we know firewood, and our Wisconsin cherry firewood is considered an 'elite' firewood! We grew up with it and use it to heat our homes today. Because we know first-hand how cost effective and sustainable firewood is as a source of heat, we turned our passion into a business. Sharing our knowledge and better-than-average kiln-dried firewood with our home state is a vision we are proud to bring to life. That’s why we have Wisconsin firewood for sale. There are different types of wood for different purposes. One wood that is good both for heating and for its fragrance is our Wisconsin cherry firewood. Though it doesn’t burn quite as hot as some other hardwoods, our Wisconsin cherry firewood adds an element that others don’t. How can you miss out on that wonderful cherry fragrance? No one will complain about the burning odor that some woods can emit because, with cherry firewood, that odor isn’t there. Cherry firewood also gives off a beautiful blue flame unlike other firewood, this is why it is considered to be in the 'elite' family of firewood! 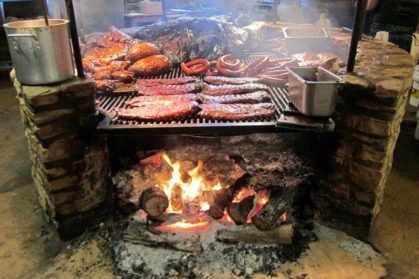 Despite the lovely aroma that cherry firewood offers, one of it's largest uses is for cooking! It gives off lovely seasoning and flavor for meats. Our top cherry customers are usually summer time barbecuers, meat smokers or restaurants in the Milwaukee and Waukesha area. Whether you are looking to grill out and cook up some lovely meats, or you are looking to throw a classy party, cherry firewood is for you! Bug-Free Firewood– Kiln dried firewood does more than just lower the moisture levels. It kills off any bugs that can linger on the wood. This leaves you with a cleaner home and no worries. Wisconsin Emerald Ash Borer (EAB) Pests Free Firewood– One of the most important pests that are eliminated with our kiln drying is the Wisconsin EAB (Emerald Ash Borer). This helps to cut down on the deadly spread of the virus this pest carries, giving rise to a better environment. Professional Delivery – Every piece of wood is hand-loaded and delivered, to assure you get the wood you pay for. No rocks or dirt are present with our wood. And we deliver within 24 hours of your order. Year-Round Availability– You don’t have to wait until it gets cold outside and are hoping your favorite wood is still available. We’re open all year long and constantly renew our inventory. You can stock up early on that cherry firewood for sale for that cold winter, or just have some extra around for campfires. We’re here for you when you need us. 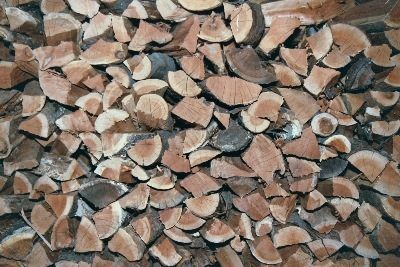 Heating your home with firewood has many advantages over other heating methods. And heating your home with Best Burn Firewood makes even more sense. Local Economy and Community– We have Wisconsin firewood for sale. We are a Waukesha-based company, and we live here. By supporting our business, you keep your local economy growing and share in your community. And we thank you for that. Lower Utility Costs– Heating with wood is much more economical than heating with gas or oil. In fact, it’s four times more efficient than oil and five times more efficient than gas! And heating with electric is six times costlier than heating with firewood. Keeping money in your pocket is always a good thing. 100% American-100% Wisconsin Energy– You get the satisfaction of helping community and country, all while helping the environment. Not to mention the added advantage of the warmth. It’s a win-win situation all around. We have Wisconsin firewood for sale all year long to make your life easier. It’s just how we do business. By making sure that what we sell comes from here, we do our part to help our hometown as well. With all the wonderful variety of woods available to heat your home, our Wisconsin cherry firewood from Best Burn Firewood should be on your wanted list. Call us now at 262-746-7416 or order our Wisconsin firewood online by clicking here! After that we’ll get your delivery to you by no later than the end of the next business day. That’s our promise. That’s how we do business. or order your firewood online by clicking here! Our website is SSL secured, all your information is private and secure.